Step back from the overload this New Year and find some time for yourself. You are important too. 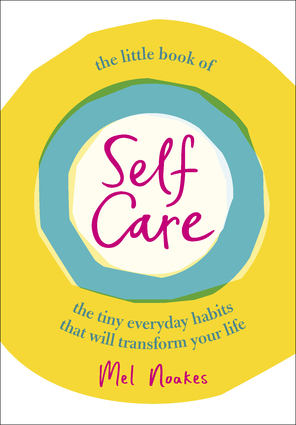 With encouraging reminders, inspiring thoughts, easy wins and practical advice, The Little Book of Self Care will help you identify your needs so you can relax, refuel and find calm in your hectic life. This book will tell you why mindset is key, how to nourish instead of punish yourself, how to exercise and sleep and why it is important to go slow sometimes. You live your whole life being you, so why not be your own best friend? Mel Noakes is a health coaches who has written for The Huffington Post and HATCH.